It is time for our last CASE study challenge of this month, which also means saying goodbye to our current muse Lisa Spangler. I am glad I started off CASE Study with her, as I had such a good time CASEing her cards! We will also be saying goodbye to our June guest designer Lynn Mangan who has delighted us with her beautiful work! I printed out triangles and used them as template to cut colored card stock. I arranged them on a rectangular die cut using repositionable adhesive, then ran it through the die to cut the border triangles. On the card base I used the same rectangular die to emboss the frame, then popped the triangles using 1/8″ thick foam adhesive. Love those thick pop dots; they give such an interesting dimension! I liked the white-on-white, but the sentiment was so off! I realized that after I had taken the picture (more like hundreds of pictures), edited and all. So I decided to color the triangles, which I did with Copic markers, and then used a label maker for the sentiment. 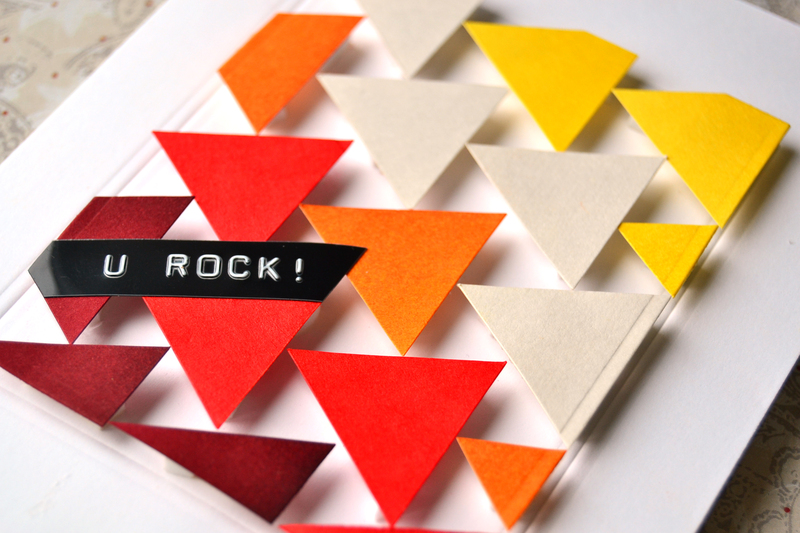 But I wasn’t happy with the results, so I made another colorful card, this time with larger triangles. Again, I wasn’t happy with my color choices. I decided it was time to turn to Pinterest, and as I was skimming through my Color board, I found this cool tea bag assortment! How cool is this? I think if I had this I would just save it! I was instantly drawn to the color scheme and tried to use a similar palette for my card. I didn’t have the exact color card stock so I had to modify some with distress inks. The colors of my triangles still aren’t the same, but I was pressed for time so couldn’t experiment any farther. I hope you can play along! Make sure to visit CASE Study blog to see what the rest of the team came up with. 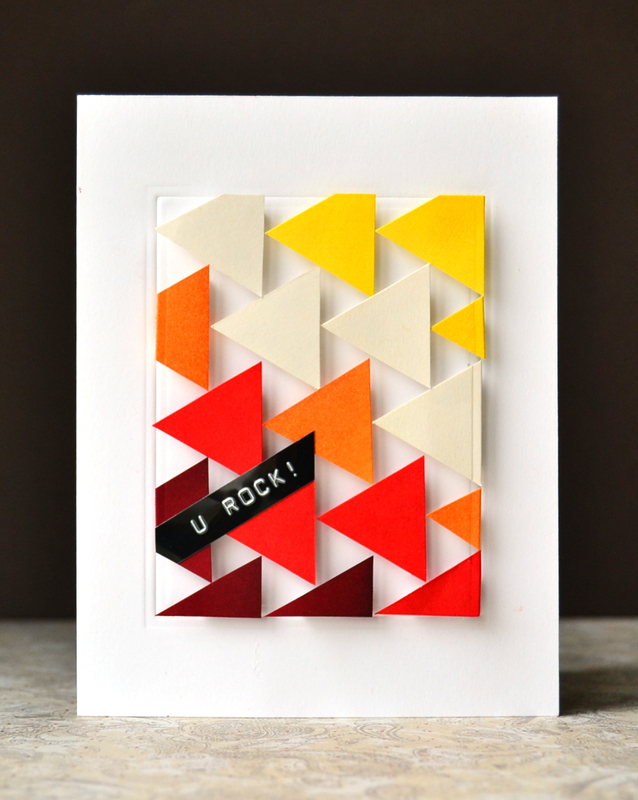 I am entering this card to the Moxie Fab World‘s Trendy Triangles Challenge. Love your take on Lisa’s card Tasnim, the overall design is so unique, striking and trendy. Beautiful colors too. You amaze me each and every time with your talent:-) Thanks for sharing!!! Such a wonderfully graphic take on this weeks inspiration card! Absolutely awesome Tasnim, you’ve outdone yourself! Love what you’ve done with triangles. Really fabulous design! Love the cards (all of them)! Can you share what triangle die you used? Many thanks! 1. Copy paste to MS Word, re-size to desired proportion and print on copy paper. 2. Use repositionable adhesive to attach template temporarily to card stock. 3. 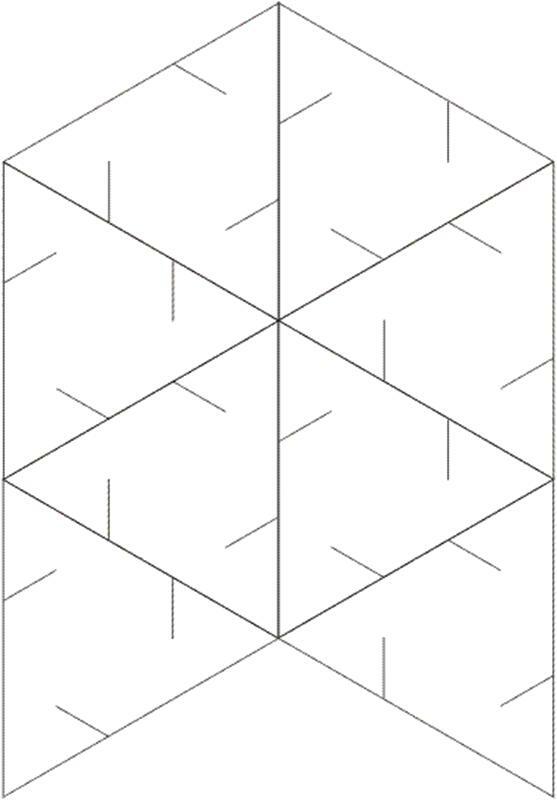 Using the guidelines cut the triangles with a scissor. 4. remove copy paper backing. This is amazing! Love the triangle and the colors you used! Just Fabulous Tasnim! Love your take on the challenge and love your color palette!! Best card I’ve seen in a long while. LOVELOVELOVE it. Tasnim you are amazing!! 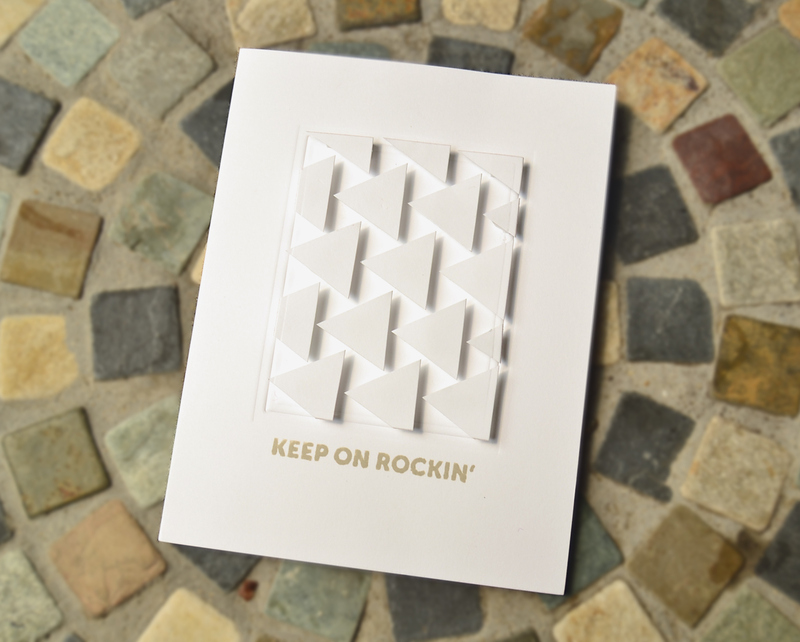 the card is just out of this world…loved the technique used to cut triangles…what you used for the sentiment?? This is so awesome! Totally worth all the work/effort! Amazing! 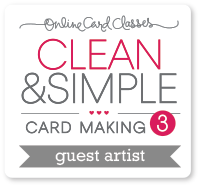 Wow, that white card is pretty cool, but man-oh-man your colored card is OUT-STAN-DING!!! So much energy!! Perfect sentiment. You totally rock, Tasnim! WOW! This is just awesome!!! The colors totally pop! Oh how clever! One of those cards that I wish I’d made!! Well done! Love the gorgeous triangles….love the colours too. Oh my Tasnim… these are totally out of this world!!! 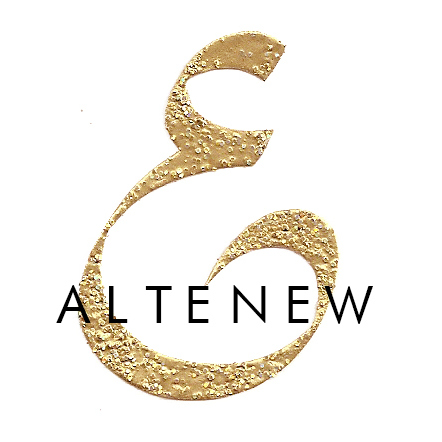 This is fabulous… reminds me a bit of a card I just had picked up. Used the dynamo too! Beautiful creation!! You have a lot of patience for laying out the trienagles — Fabulous job!! This web site is something that is required on the internet, someone with a little originality.